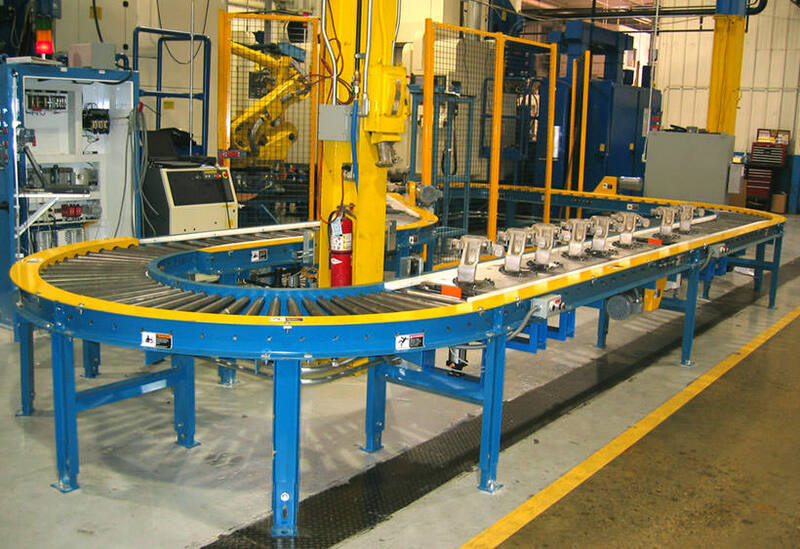 Our client needed to optimize the handling, washing and storing of stainless steel process trays. 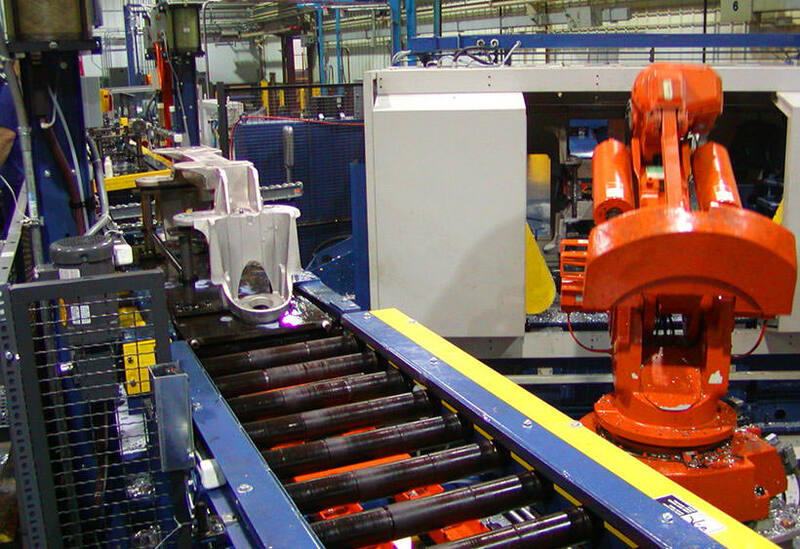 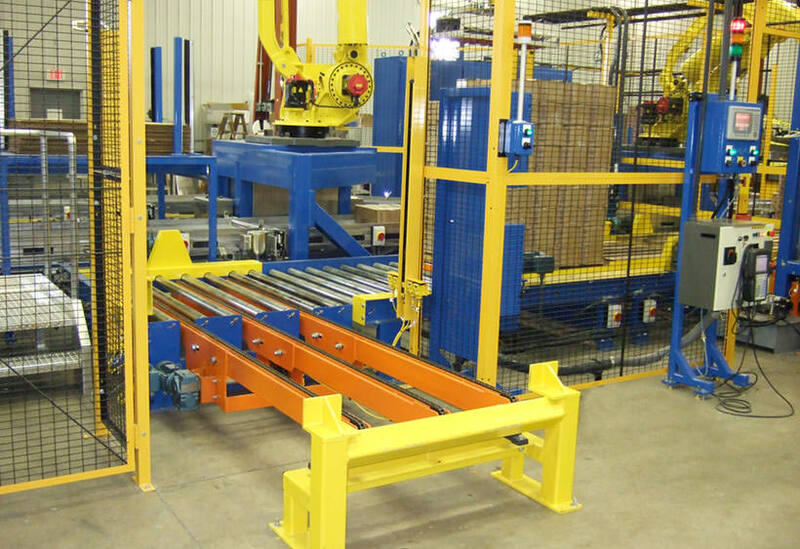 The labor intensive process and wash down requirements were a good fit for a custom automated solution. 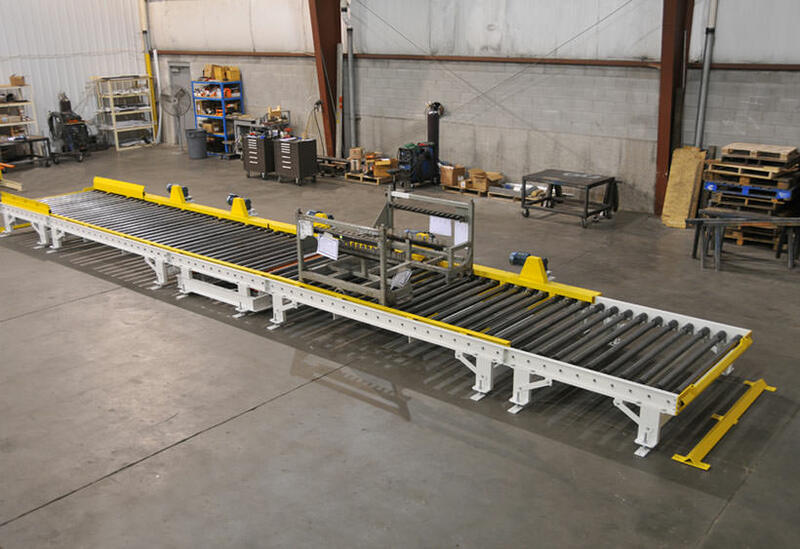 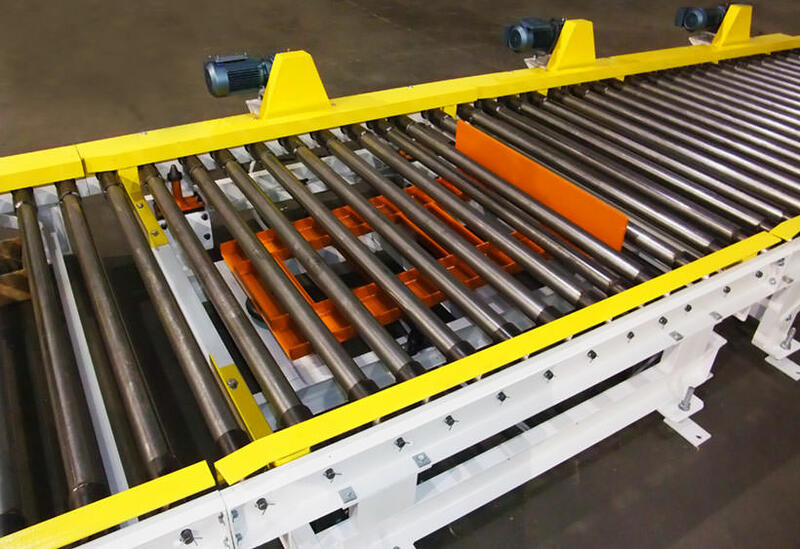 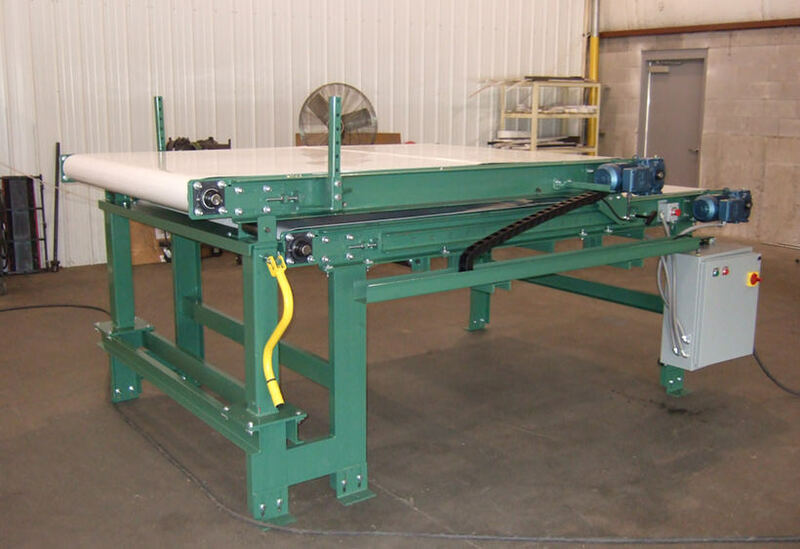 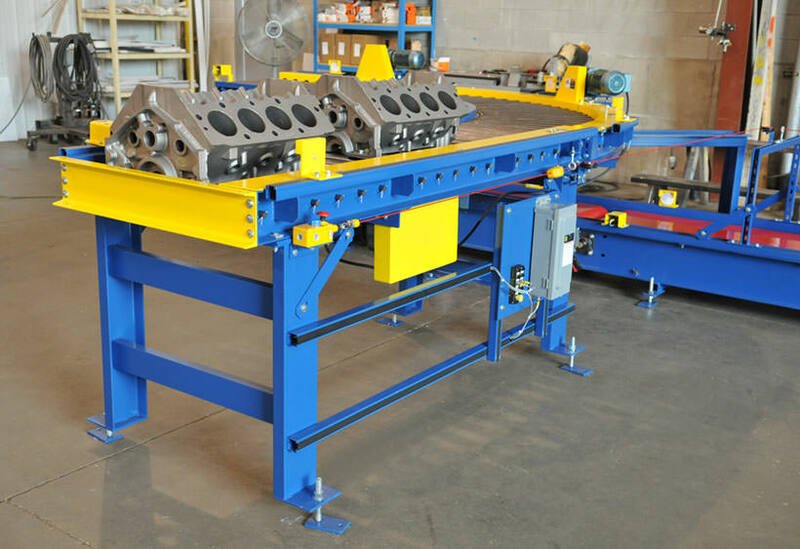 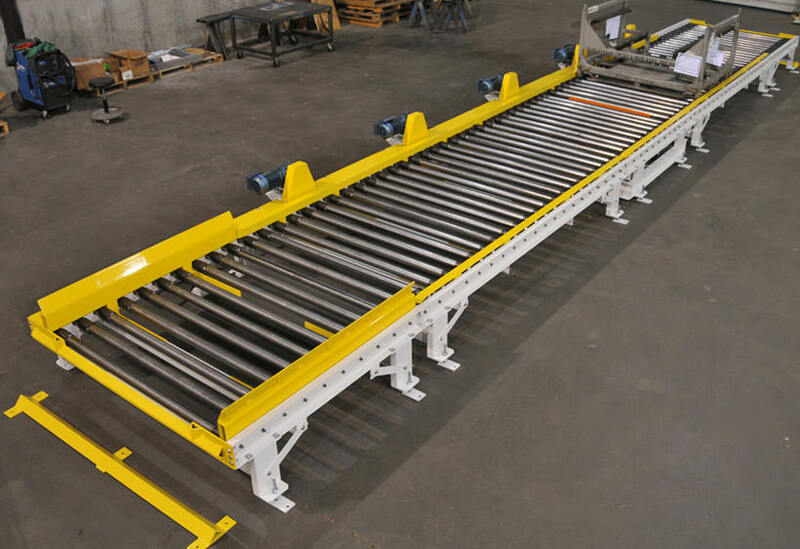 This custom designed solution includes several stainless steel constructed systems for moving, orienting, washing and storing of stainless steel process trays. 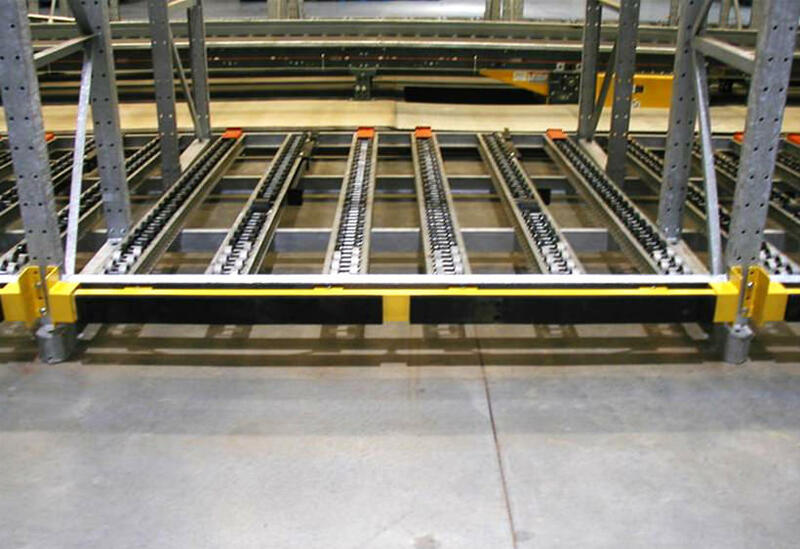 This system first turns the trays on edge and washes them, then returns them back to the flat orientation. 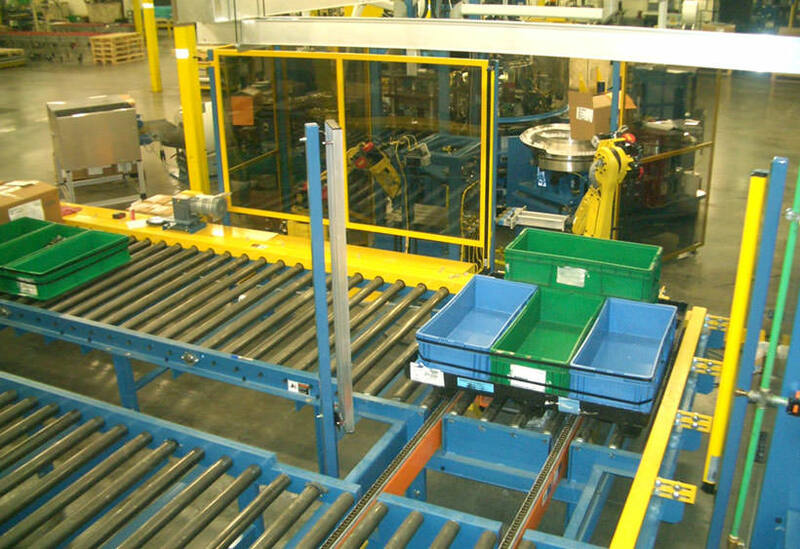 Next a robot picks up the trays and loads them into one of the two multi-lane storage cells where 800 trays are kept. 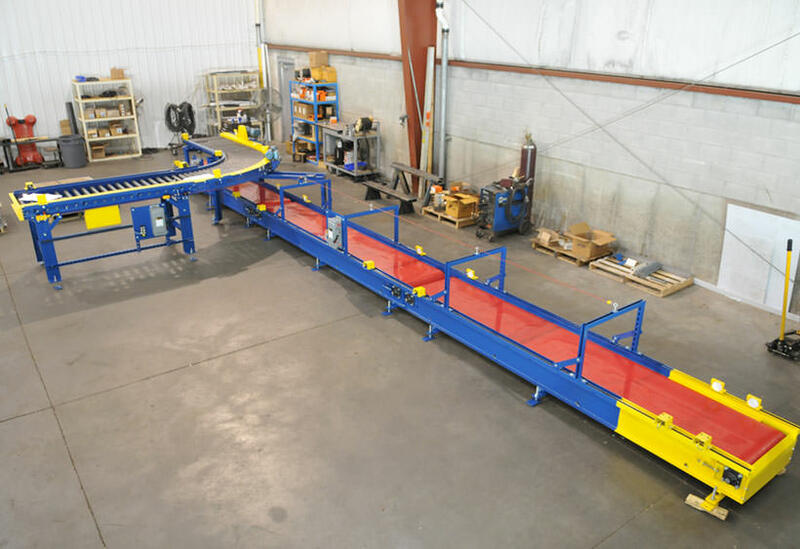 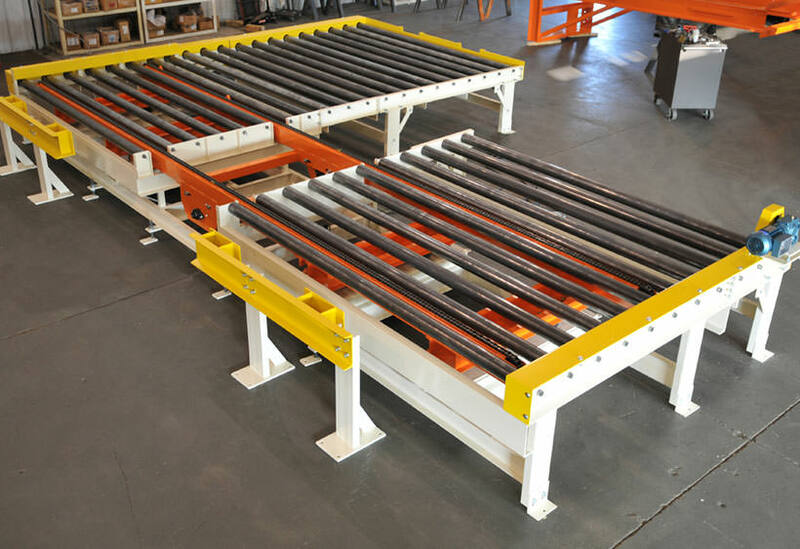 The trays are removed from storage and placed onto the production line where they are filled with product using a drum rotation and dump station. 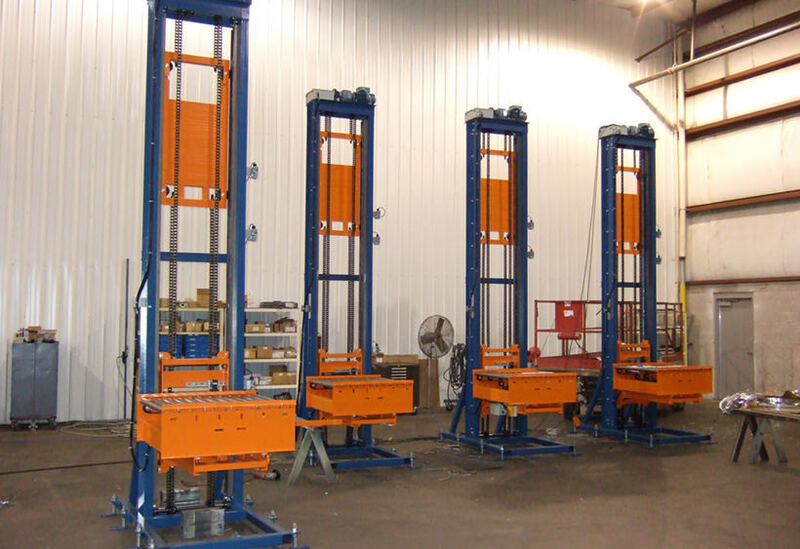 The trays are then shaken to level the product and transferred to a drying oven. 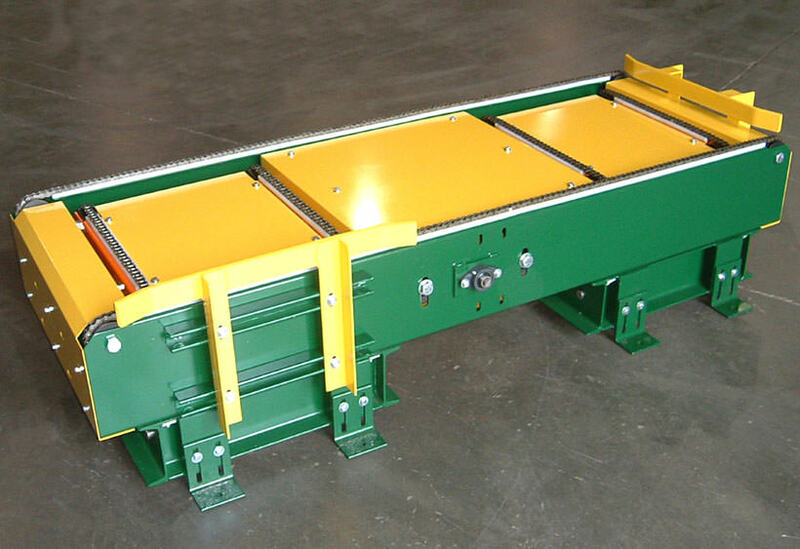 All of this equipment has full wash down capability.